Great engineering and innovative design equal powerful performance! Contact the Duke Company regarding air mover rentals, available in Ithaca NY, Rochester NY, and Upstate NY from the Duke Company. a powerful, 0.4 HP motor with 3 run speeds for all your drying challenges. Best of all, it only draws 3 amps! Two onboard GFCI outlets let you daisy chain multiple air movers, so you don’t have to search for extra outlets. 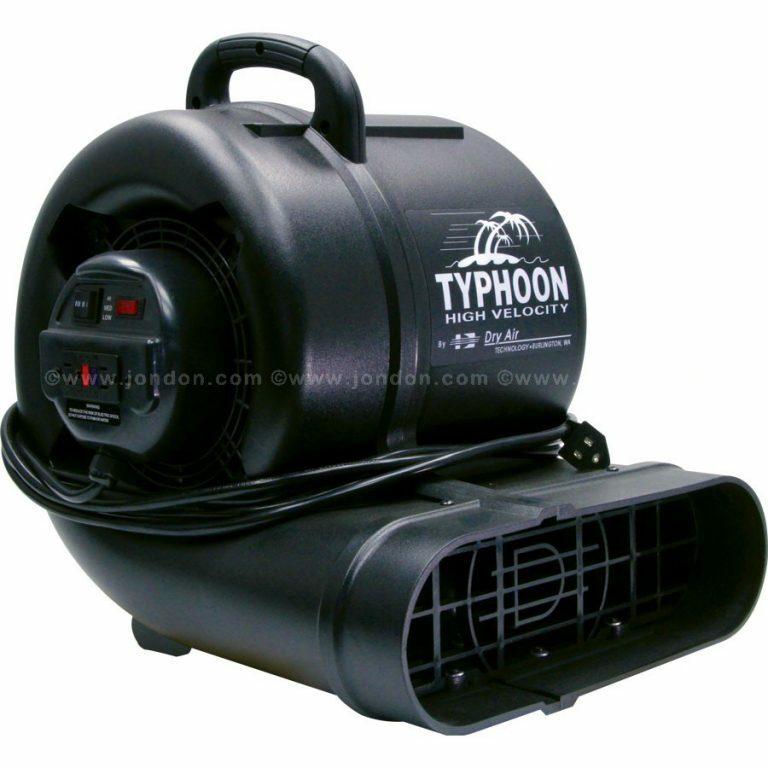 Just plug 2 fans into the Typhoon to eliminate the need for extension cords and power blocks. The Typhoon is also fitted with a low-profile switch to minimize potential transport and operation damage. In addition to built-in thermal overload, this air mover has an advanced motor mount system held securely with heavy-duty bolts.